Moving from the bomb sites of London as a child, I was thrust, like many kids into a world of green fields, dark woods and sparkling rivers, that surrounded the new council estates to which our parents felt exiled. For us, it was an exciting new experience and without the parental constraints of today, we took full advantage of our new found freedom. From the age of ten, I would ride miles with a bamboo rod, to fish the river Colne, which at that time was full of indigenous brown trout, keen to take the maggots offered to the plentiful roach and dace. A few years later I was taught to cast a fly to these red spotted beauties, although small chub and dace always seemed to get to it first. Tragically this river was later heavily polluted by one of the many factories along it’s banks, taking a dozen years to recover, the trout never returning in numbers. Fishing had a magic spell over me, which has continued through my life. A paper round introduced me to field craft, one of the other boys being a Romany gypsy, who took a couple of us “chavvies”, as he called us, poaching. He snared rabbits on an industrial scale, neatly skinning them in what seemed seconds. These fur pelts were cleaned by his dad and pinned out on frames to dry and be sold, as was the meat. Pheasants and pigeons were shot with an air rifle, as they roosted in trees at night. 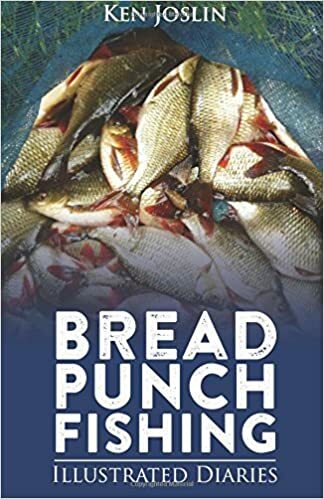 Everything was fair game, tench, bream, perch and pike from the local canal eking out wages earned working in the market gardens nearby. One of the skills, that I learned from this Ray Mears style crash course, was how to start and maintain a good fire. Air rifles gave way to shot guns, my first one, a .410, being a bored out Lee Enfield bolt action rifle, cost me £8, the licence being readily available at the post office for ten shillings. I kept it in my mate’s shed, as my mother wouldn’t have it in the house. An apprenticeship, girl friends and motor bikes won us back from the countryside, the shot guns reluctantly sold on to others and the fishing rods put in the loft for a few years. My air rifle, a CZ Relum .177, had the occasional rat culling outing, but spent most of the next 30 years waiting beneath my bed. In the last ten years, as work has given way to leisure, shooting has returned to my life. Permission to shoot over a variety of farms allowed me to pay for better rifles, as a ready supply of rabbits were cashed in at local butchers and to this day subsidize an afternoon’s sport. Fishing has continued in it’s many forms and I own more rods than I would like to admit to. Free fishing is the aim these days, preferring to fish with bread and worms, while I tie my own flies and catch trout on now clean industrial rivers. One of my most productive free stretches runs behind warehouses and a Homebase store, the surroundings may not be pretty, but the trout run big. Being a member of a local angling club, satisfies my competitive side with the occasional match, while joining a small syndicate has given me the opportunity to catch wild brownies from a challenging little chalk stream near my home. I still live on a housing estate, conveniently close to a railway station and a Tesco superstore, a small garden providing fresh produce in season for jam and cider making, much to the amusement of my neighbours, who can’t understand why I go to all the trouble with the store within walking distance. If you are still reading this, I’m sure you know why.